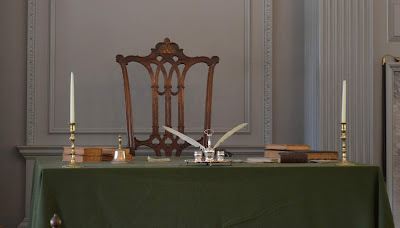 While most folks these days still (gratefully) know what happened in 1776, odds are you'd be lucky to find a similar understanding of 1787... let alone the year when the Constitution – and the concept of a church in full on these shores – became reality. 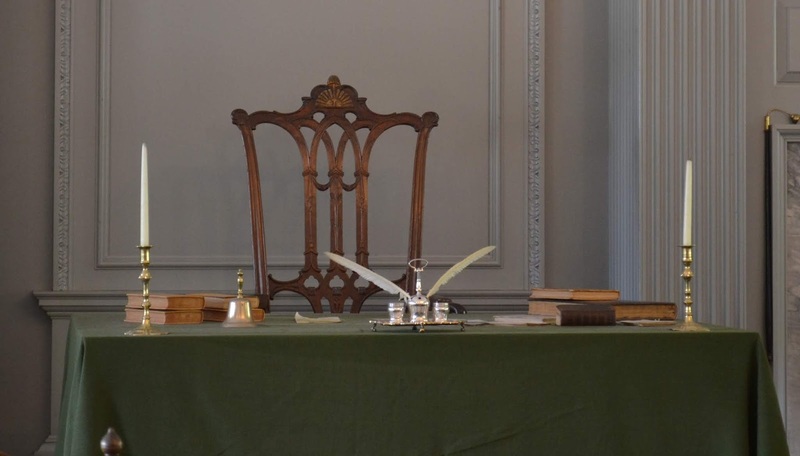 On April 30, 1789, atop the staircase that looms over Wall Street into today, George Washington first uttered the 35 words from Article II, Section 1 which, enforcing the mandate of the people, "ordained" him as President of the United States. As this Wednesday brings a secular All Souls' Day of an extraordinary degree in this National Day of Mourning and state funeral for the 41st President, we turn to the other great American "high priest" raised to his office in that year – John Carroll, the elected mission superior of the early nation (and its 13 priests), who was named the founding bishop of the US church six months after Washington's oath. A cousin of the lone Catholic to sign the Declaration of Independence – his elder brother a Framer of the Constitution – Carroll first delivered the following Prayer for the Nation in August 1791. On 41's Passing, Recalling "Bush's Bishop"